Posted on February 25, 2015	by Rev. Joe Jagodensky, SDS. I know she needs to lug that thing into the church but I could have asked a tuba player. A diminutive friend of mine wanted the title song from “Rocky” played at his funeral as though eternal life can buff you up for that rousing song. Something about a harp. Soothing, mellow and alluring. Why not have those things at my death when I did not exhibit them during my life? Harpo Marx balanced his comedic antics by playing the harp and everyone watching sighed as the harp’s beauty melded with his comedy. She could play other songs to justify her carrying that thing and her stipend but as an Opening Song for me, I’m all for it. Grandchildren crying at your funeral is real plus. It will always amaze me that two generations down are so moved by this person’s passing. I guess that is until they realize what her exaggerated worth was truly worth. I joke here but it is heartening to hear a grandchild talk about what a witness her grandmother was to her in strength, perseverance and affection. Even when a 58 year old son can’t get through his dad’s eulogy make my eyes water up. Sometimes we wait too long to express our deep feelings for another person. I’m told often that women do it better than their opposites. The opposites feel it but show it more often in their eyes, humor or a tender smile. Sons about their dads is the most moving when I hear them. Daughters about their strong moms is ditto but even stronger considering the multiple cultures their moms had to live through. A funeral is cultural and it’s mimicking – “Why don’t we have a DVD of our dad?” “I was at a funeral where they….” (fill in the blank). A polka Mass funeral was the most fun. Why not? He loved polka music and the Mass was filled with 3/4 tunes that lifted us all up. “You Are My Sunshine” was sung a copula at the beginning of one funeral and it set the tone for the entire service. I was told that she just loved that song. 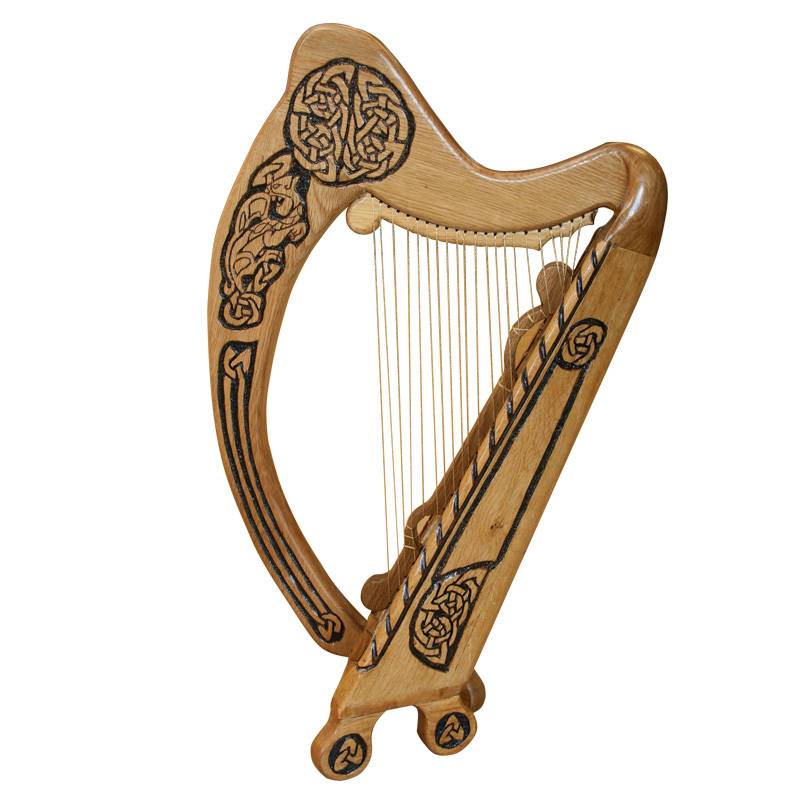 One harp. Let someone help her carry it to the church to play one of the two suggested songs for my funeral. I can only hope that I’ve carried someone through something toward something new in my priestly service.